Ufford Park Hotel, Golf and Spa offers something for every member of the family. 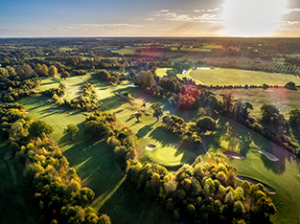 Set in 120 acres of historic parkland and located on the outskirts of Woodbridge, the family-run, dog-friendly hotel boasts 90 spacious bedrooms, many with balconies where you can relax and enjoy beautiful views of the picturesque, 18-hole golf course. 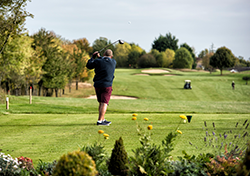 Whether you’re a keen golfer, seeking a relaxing spa experience or you’re looking for a family-friendly base to enjoy all that Suffolk has to offer, Ufford Park Hotel really is a hidden treasure. The hotel celebrated its 25thanniversary in 2017 and has recently undergone an extensive refurbishment programme. Nearly all of Ufford Park’s 90 bedrooms have now been refurbished and The Park Bar and Restaurant has also undergone a stunning transformation. Whether you choose to dine in The Park Restaurant or enjoy a snack in The Park Bar, the hotel offers good, quality food made using locally-sourced ingredients. Afternoon Tea is a particular favourite with guests and visitors, particularly during the spring and summer months. 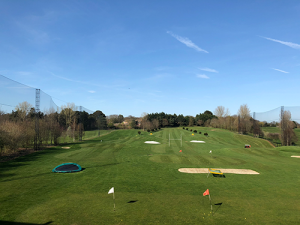 Golfers can wile away time, practicing their stroke on Suffolk’s only 2-tier, floodlit driving range, browse around the AmericanGolf superstore or visit The DoctorGolf Teaching Academy to perfect their swing. Pay and Play golf starts from as little as £20! 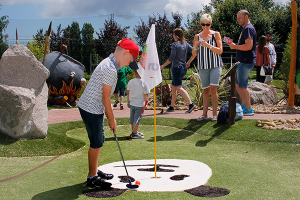 Congo Rapids Lost World Adventure Golf opened at Ufford Park in 2016, providing an outdoor leisure activity that can be enjoyed by family members of all ages. 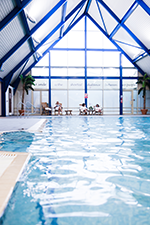 If golf’s not for you, our Leisure Club has an indoor swimming pool with poolside, sauna, steam room and spa bath, as well as a recently extended gym. Or why not visit our Thermal Suite Spa where you can relax, revitalise or restore in the hydro-pool, aroma steam room, mineral grotto or lay down and look at the ‘stars’ in the relaxation zone? You can also add beauty treatments to maximise the benefit of your experience. One of the benefits of visiting Ufford Park Spa is you are only required to book your therapy time slot when booking your stay, not the actual treatment. All beauty therapists at Ufford Park are fully-trained so they are able to offer any treatment that suits you. If you are visiting from further afield, you can stay in one of our 90 en-suite bedrooms from just £99 per person. Use us a base to explore; visit the many local attractions including Sutton-Hoo, Framlingham and Orford Castle, the world-famous Snape Maltings, or the coastal towns of Aldeburgh and Southwold… and of course, the beautiful Suffolk countryside. throughout the hotel, so whether you’re coming to stay or visiting for the day, we look forward to seeing you.